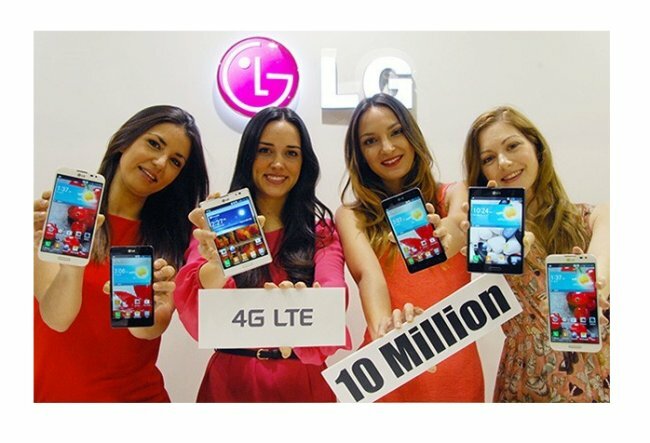 LG announced that it has sold 10 million LTE enabled phones. Even though Samsung has sold over 30 million units of the Samsung Galaxy S III and expects to sell 100 million units of their sequel to the device, 10 million units is double the amount that LG announced in August. Plus LG has just released the LG Optimus G in 50 more countries. They are on their way to catch up. LG wants to double its market share in the LTE smartphone market and so they plan to introduce several new devices in established and emerging markets. The LG Optimus G Pro will be the sequel to their current flagship model, and LG just introduced the LG Optimus F7 and LG Optimus F5 at MWC. So they are well on their way to higher numbers. Will they catch up to Samsung? Only time will tell.